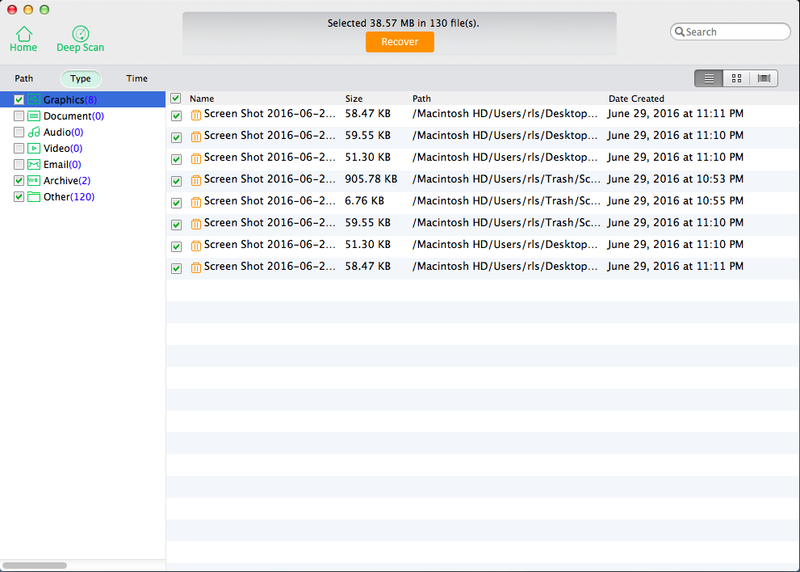 Accidentally deleted files or folders from your Mac or an external drive/SD Card? 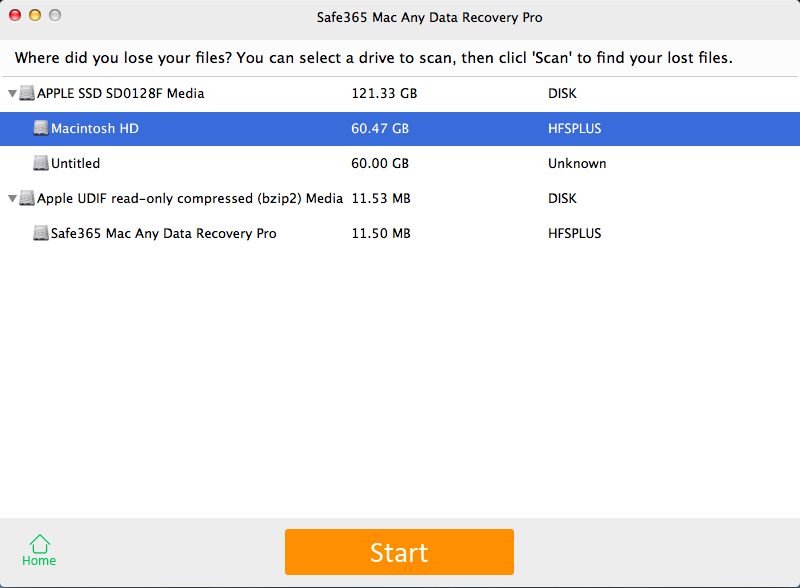 Safe365 Mac Any Data Recovery Pro can get back your lost data in few minutes on Mac 100% safe and reliable. Losing your files and other data on Mac can be very frustrating. 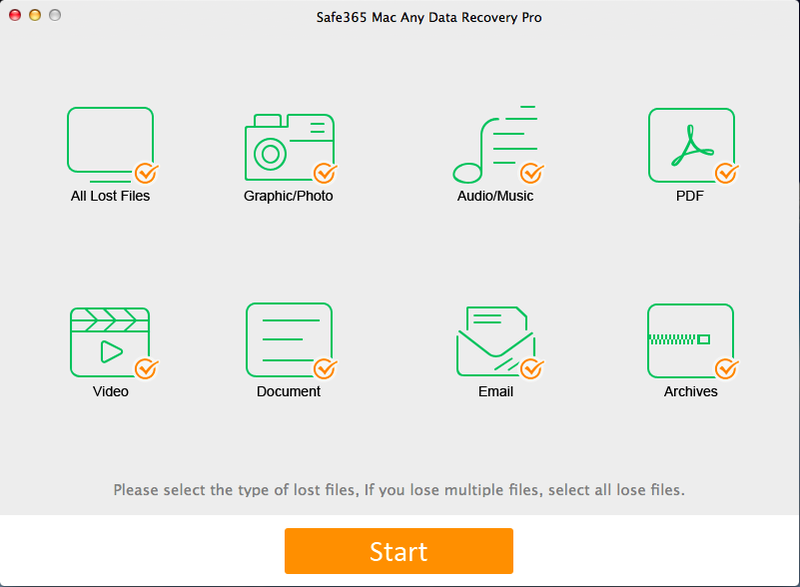 Safe365 Mac Any Data Recovery Pro helps you recover files like photos, music, video, emails, and documents from Mac or other devices including external hard drive, USB drive, SD card, memory card, digital camera,MP3/MP4 player, etc. Step 1. Download and install the software, then launch it on your Mac computer. Select the file types you want to recover and then click Start button to move to the next step. Step 2. 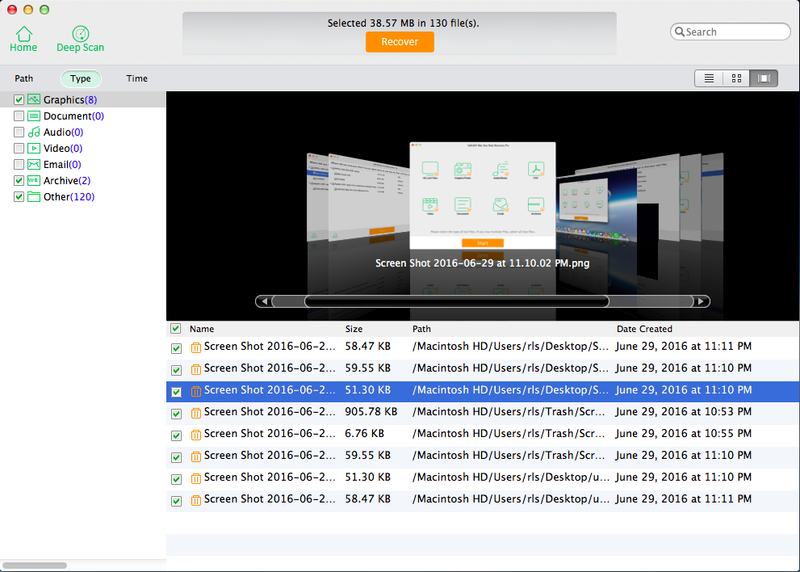 Select a drive to scan, then click Start button to find your lost files. Step 3. When the Scan completed, you can change the file display by clicking Path, Type and Time. Preview lets you check the data quality in advance, then select the desired folders & files and save them by clicking Recover button. Tips: If a quick scan fails to recover all the lost data, please click Deep Scan to do an advanced recovery .